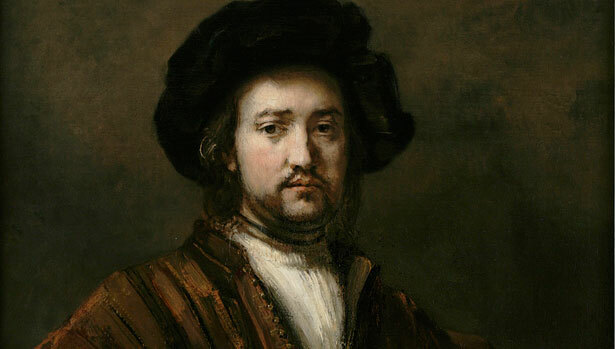 Columbia’s Rembrandt, sold in 1975 for $1 million, is back on the market—for $47 million. Detail, "Portrait of a Man with Arms Akimbo." A Rembrandt portrait that had been protected by Columbia student protesters in 1968 and later sold by Columbia for $1 million is back on the market this year, with a price tag of $47 million. The story of the 1658 painting, Man with Arms Akimbo, has many lessons, starting with the folly of universities selling art to make money. When radical students at Columbia occupied several buildings, including Low Library, the administration building, in May 1968 to protest university complicity in the Vietnam War, the painting hung in the office of then president Grayson Kirk. According to The New York Times, the student occupiers agreed to allow police to remove the painting to protect it. Student radicals in 1968 were criticized as barbarians out to destroy the university and all that it stood for. But the students at Columbia protected the university’s Rembrandt—and then the university put it in storage, and sold it in 1975 in a secret transaction with a private collector. A painting that should have been on display disappeared from public view for the next forty years—in exchange for which the university got $1 million. So who were the real barbarians? Universities selling art made headlines in 2009, when Brandeis announced it would sell off the paintings in the university’s Rose Art Museum, including works by de Kooning, Warhol and Lichtenstein, to make money for the school. Outraged protests from the university community and the art world led the trustees to back away from the decision. Columbia’s 1975 sale provides an early example of the practice. Also: selling old masters eventually makes the seller look foolish, because the prices always go up. According to the online inflation calculator, $1 million in 1975 dollars is equivalent to a little over $4 million today; so Columbia sold for a rock bottom price—and the buyer got a great bargain. The Rembrandt, which had been donated to Columbia in 1955 by Huntington Hartford II, the A&P supermarket heir, was bought in 1975 by J. Seward Johnson, son of the founder of the Johnson & Johnson pharmaceutical company. It then disappeared from public view for forty years. After Johnson’s death in 1983, his wife, Barbara Piasecka Johnson, inherited it. She sold it in 2009 to Las Vegas casino mogul Steven Wynn for $33 million, at that point a record for a Rembrandt. It reappeared on the market last year, when it was described as a “blockbuster offering,” the “star” of the European Art Fair in Maastricht, the Netherlands, with a price tag of $47 million. It had no takers at that price. It was exhibited this summer as part of the “Rembrandt in America” show at the Minneapolis Institute of Arts and is currently listed for sale by Otto Naumann Ltd. Finally: all Columbia undergrads were, and still are, required to take Art Humanities, a survey of masterpieces of Western art, including Rembrandt. The purpose is to instill a respect for this great tradition. Apparently that respect was not shared by the Columbia administration. For a recent sampling of student protest against university doubletalk, check out last week's "Dispatches from the US Student Movement" at TheNation.com's Extra Credit blog.